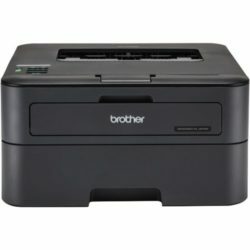 The Brother HL-L5100DN monochrome laser printer is perfect for offices and small workgroups looking for quality and reliability. It delivers cost-efficient, two-sided output thanks to a high-yield replacement toner cartridge. Plus, it quickly prints high-quality business documents up to 42ppm. Use the 250-sheet capacity paper tray for letter or legal-size documents, and print on envelopes and alternative media types from the 50-sheet capacity multi-purpose tray. For fewer refills, you can expand the paper capacity to 1,340 sheets with optional add-on trays. 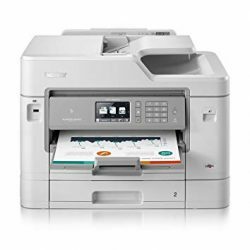 Easily share the printer with others via built-in Ethernet networking and print with ease from a wide range of mobile devices‡. 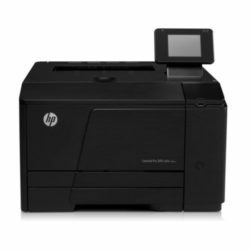 Advanced security features help protect your sensitive documents and the printer from unauthorized access. Flexible paper handling Easily handle your large print jobs via an adjustable 250-sheet capacity paper tray and 50-sheet capacity multi-purpose tray. Additional optional paper trays are available in 250-sheet or 520-sheet capacities enabling users to configure the printer with multiple trays in a way that best meets their application requirements – up to 1,340-sheet total capacity. Outstanding customer support. The Brother HL-L5100DN offers a 1 year limited warranty with free phone support for the life of your product.